Old Man Winter made his presence known early this year. 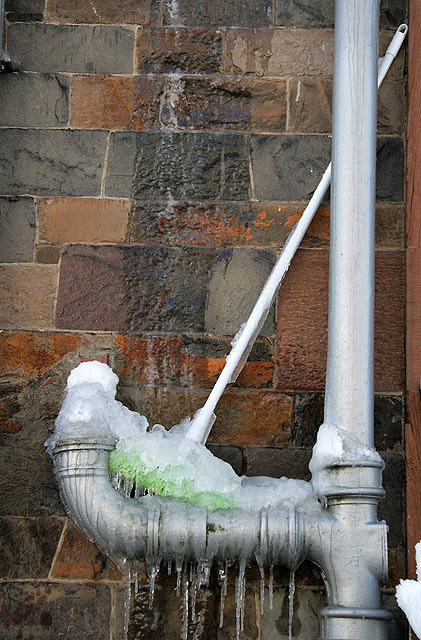 If you don’t have your exterior water lines completely winterized, or don’t have enough insulation around your interior ones, you may be at risk for frozen pipes. It’s not too late to take precautions to avoid this wet, miserable disaster. 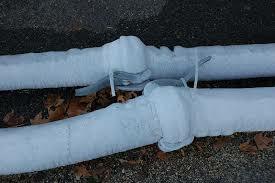 For those who have never experienced flooding from a burst pipe, it is crucial to thaw them as soon as you find them. If water is left to freeze within the pipe, it will expand and apply significant amounts of pressure to the inside of the pipe. Regardless of the pipe’s material or strength, there is a limited amount of time to prevent the disaster before it starts. Exterior pipes, including swimming pool supply lines, water sprinkler lines, and outdoor hose bibs. Water supply lines in areas with little to no heating, including those in the garage, attic, basement, crawlspace, and bathroom and kitchen cabinets, etc. Hidden pipes, such as those behind walls and under floors with little to no insulation. Be sure there’s plenty of insulation in the attic, basement, and crawl space and seal any leaks you find in these places. Seal leaking windows and any leaking areas of an attached garage. Plastic wrap insulation kits can stop wind and they are easy to use. Wrap pipes with electrical tape. Follow all manufacturers’ recommendations, or use heat sleeves. Remove garden hoses and water supply lines from outside faucets connected to the house. Drain and store indoors, such as in the garage or shed. 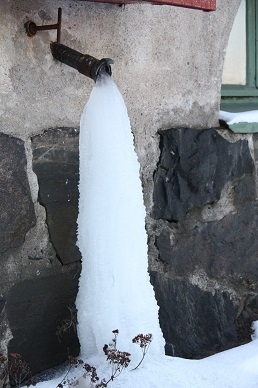 Shut off and drain any pipes that lead to outside faucets that aren’t being used in the winter. Inspect other areas of the home that are prone to freezing pipes, such as the basement, garages, and within kitchen and bathroom cabinets. Consider moving exposed pipes to heated areas of home to prevent them from freezing. Keep the indoor temperature no lower than 55 degrees Fahrenheit. Be sure garage doors are kept closed, especially if they contain water lines. Let water drip from all faucets, including tubs and showers. In this case, it’s ok to waste a tiny bit of water to provide relief from pressure and keep pipes from bursting. Leave cabinet doors around kitchen and bathroom pipes open to allow air from the home to keep the pipes warm. Make sure there’s nothing under the sink that kids or pets should be around; you don’t want them chewing on cleaning wipes or a flat iron. If you discover a frozen pipe, check for cracks immediately. If there are none, use a hair dryer to gently defrost the pipe. Never use a blow torch or any other type of open flame to defrost pipes, as it’s too much of a fire hazard. You can also wrap them in old rags and pour hot water over the rags. Repeat this process until all of the pipes are thawed. Then ensure to remove all moisture before wrapping them with insulation. 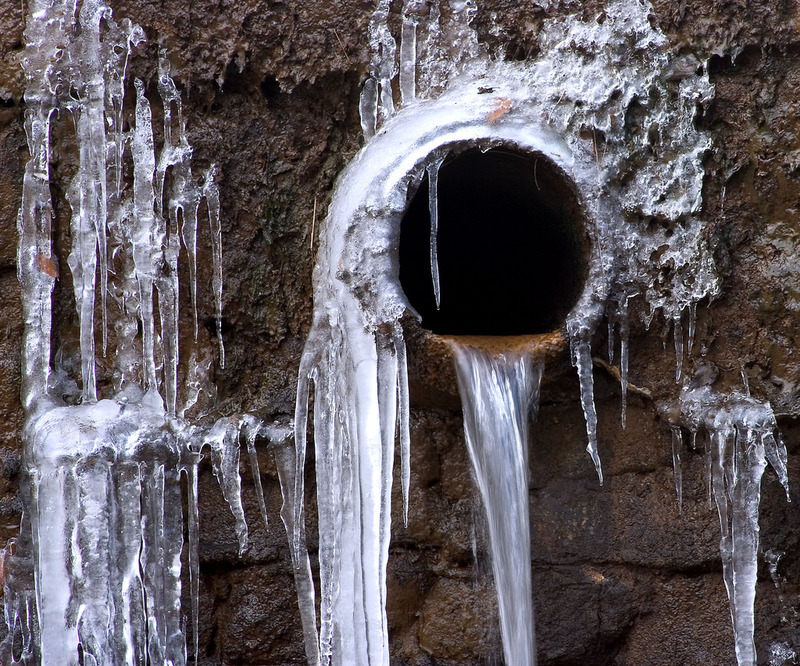 If you are unable to access the pipe, call a plumber as they will be able to thaw out the pipe while causing minimal damage to the property structure. Make sure to check all faucets in the home or building to ensure that water is flowing freely throughout all other pipes. If you find a cracked pipe, turn the water off at the source immediately, and then call the professionals at ServiceMaster DAK. We’re available 24 hours a day to quickly clean up the aftermath in homes in Buffalo Grove, IL before mold can grow and cause further damage. Repair costs vary, depending on the number of damaged pipes. According to Angieslist.com, the cost to hire a plumber to defrost a pipe can range anywhere from $125-300 or more, depending on the location of the pipe and its accessibility.